Last Date : 12 November 2017. Application Fee : Candidates have to pay Rs.300/- through SBI Internet Banking, other major bank’s Internet Banking, Debit/Credit Cards or e-challan at branches of SBI. 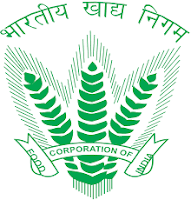 How to Apply : Interested candidates may apply Online through FCI website www.fciwbjobs.com from 12.10.2017 to 12.11.2017.